Located in the Peak District National Park in England Stanage Edge is the largest of the gritstone edges that overlook Hathersage in Derbyshire. The Stanage / North Lees Estate is a popular destination throughout the year for climbing and walking with visitors travelling from near and far to enjoy the challenging rock climbs and picturesque views across the surrounding moors and countryside. To discover more about Stanage Edge including ideas for what to see and do click on the about page. The photography gallery includes images of the area throughout the seasons, from winter snow to golden autumn colours. The facilities page provides information about how to get to area including public transport links by bus or train and details about car parks. 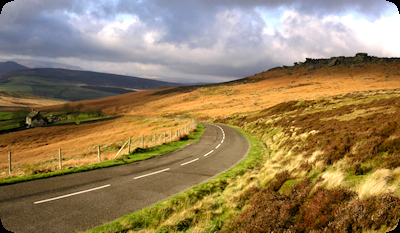 The links page provides additional websites with information about Stanage Edge and the surrounding area. If you have any comments about this website or Stanage Edge please use the contact form to get in touch.